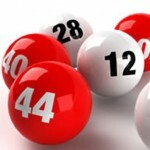 Many lottery organizers occasionally award a second chance prize to those players who have purchased lottery tickets but failed to win in the main draw. These are rare and the amounts they receive can easily be regarded as consolation prizes, not to mention that the odds of actually scooping such a secondhand jackpot are not significant. 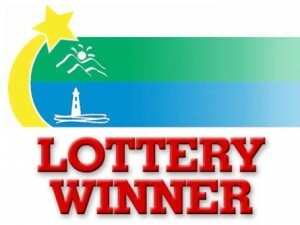 A physician assistant from Lincoln County is about to change the perception that players have about such special lottery draws, as she scooped a prize worth $3 million. 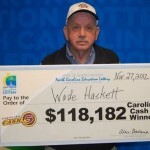 The lottery has made many millionaires over time and has awarded quite a few second chance prizes, but this one breaks all previous records. 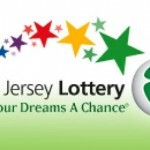 Emily Stone won $3 million after being selected out of a pile of 276,119 losing tickets, during the Holiday Millions second-chance drawing the best took place on April 3rd. It’s fortunate that she didn’t lose hope after failing to match the lucky numbers in the first draw, and persevered by submitting her ticket to the second one. These types of lottery draws are just as simple as straightforward as traditional ones, with the winning tickets being randomly selected among the pile of losing ones. It comes as no surprise that Emily was thrilled with the fact that her perseverance eventually paid off and now has to decide whether she will choose the annual installment or the lump payment. It is a difficult decision, as she could either settle for $150,000 that will be credited to her account over 20 years or a cash payment. The second alternative is favored by most lottery players, but in this case you will only receive $1.8 million and the net amount after taxation will be further reduced to $1,224,000. Her short term plans include paying off all the outstanding debt and after these are taken care off, Emily Stone intends to travel more. A significant amount of her winnings will be used to help her family members, regardless of the type of payment that she will eventually choose. This particular case will surely strengthen the confidence that players have in those lotteries that have a second chance draw, but the truth is that not all of them are worth playing. Some of these games emphasize the fact that players will have an additional chance to win a prize, and try to hide the fact that the odds are stacked against players. The N.C. Education Lottery is not one of them, but players should keep in mind that many of the games offering second chance prizes hide either crushing odds or smaller prizes. 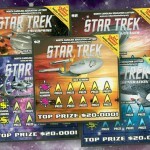 Scratch off tickets are particularly susceptible to deceive players, so they should do their due diligence and double checked the rules of the game to find out whether the ratio between risks and rewards is reasonable. Check out the Powerball Lottery ticket dug out of the trash as well.